Success! It’s a word that, even on its own, can make us feel energised, joyful and motivated. But, how often do we actually take the time to celebrate success once we achieve it? Always striving to reach the next peak, it’s easy to forget to stop, take a breath, and congratulate yourself (and others) on an achievement at work, or in your personal life. Yet, scientific research gives us an abundance of reasons to do this – particularly when it comes to recognising employee achievements. Appreciative leaders are appreciated leaders, with a whopping 90% of employees who received recognition or thanks from their boss in a month indicating higher levels of trust. Not only that, recognition builds performance and productivity, which provides organisations with a coveted competitive edge. How do we know that we have achieved success, if we do not measure it? 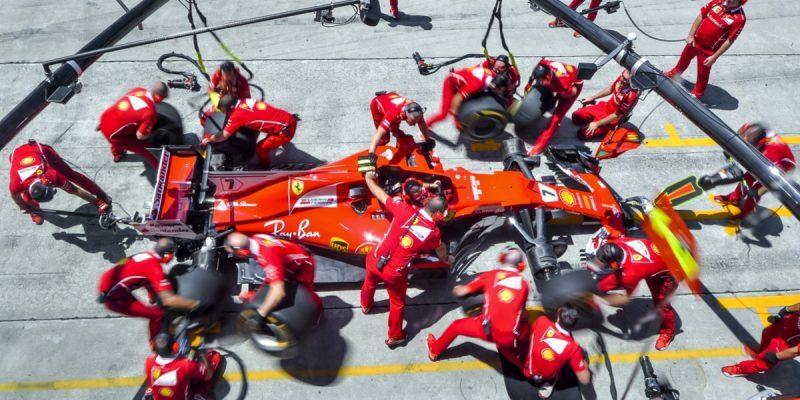 Organisations love to talk about key performance indicators (KPIs), but there is a vast difference between a KPI and a goal – and one has significantly more meaning on a human level than the other. A goal is an aim or a desired result you work towards. A KPI is a metric that helps you know if you are on track to achieve it. Though we can celebrate success when we achieve a KPI, the ultimate goal of losing 10kg drives us emotionally because we attach imagery to it (such as fitting into an old pair of jeans, or being able to run around with our kids). Goal setting is a fundamental foundation to a success culture, because it means that we know what we are working towards, and can recognise it when we get there. At HorizonOne, we set quarterly goals with each of our team members. These are not just goals we think are important, but goals that our staff feel are important for their careers. And this is another essential element of goal setting: goals must be meaningful. Employees will not buy into a goal if they are not excited by it. Goal setting should be the result of an open, honest conversation with a person about what they want to achieve and why. Lastly, and most importantly, when someone achieves a goal (including you)…celebrate it! Whether it be a public congratulation or a private acknowledgement, take the time to give it the recognition it deserves. Success has different meaning for different people. What one person may see as a huge success may be “just another day at the office” for someone else. For example, someone who is nervous talking to others may consider it a huge success to chair a meeting, make it through a big event, or even just call someone they’ve never spoken to before. To recognise others’ successes, we must first put ourselves in others’ shoes. We must appreciate that what may come naturally to us, does not always come naturally to others. If we can view success with empathy, we can be better facilitators of a success culture. Oftentimes, unexpected situations arise that are worthy of their own recognition. Let’s say a large unforeseen project is thrown at your team, and everyone is forced to work extra hard to complete it on time. This presents a great opportunity to celebrate success once the project is finished. Everyone should be allowed to feel good about the extra effort they put in, otherwise they will hardly be inclined to do it the next time something unexpected comes along. Don’t let extra-ordinary successes blend in with the “everyday”. If individuals – or a team – have achieved an unexpected success, take the time to acknowledge it. As a business owner, manager or executive, it’s easy to get swept up in the day to day grind. With so much on our plates, we often forget that those around us may be going above and beyond to do excellent work. Staying mindful means you are more likely to celebrate successes while they are still relevant. If you find it difficult to remember, perhaps add it to your calendar as a “to do” at the end of each day: taking five minutes to reflect on what has been done, and then recognising the people (including yourself!) who are responsible for it. By cultivating a success culture, we not only give ourselves a bit of credit for the results we achieve, but we give recognition and further meaning to the achievements of our colleagues and staff too. Try these 4 strategies in your organisation, and watch for yourself as it helps to build performance, productivity, trust and loyalty. Interviewing Self-Promoters – Cut through the spin!